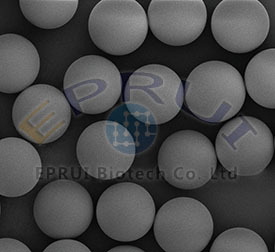 The metal chelating affinity chromatography media supplied by EPRUI Biotech is made up of highly crosslinked monodisperse polyacrylate microspheres. It is widely used in the purification of His-tagged recombinant proteins. The immobilized metal affinity chromatography resin provides exceptional binding capacity and performance for recombinant tagged protein purification. The first step of preparing metal chelating affinity chromatography media is forming a hydrophilic layer on the microspheres. Then, nickel ion (Ni2+) functional groups are chelated onto the hydrophilic layer. 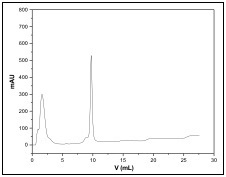 EPRUI’s affinity chromatography media consisting of chelating ligands charged with nickel ions are specifically designed to capture and purify histidine tagged proteins. 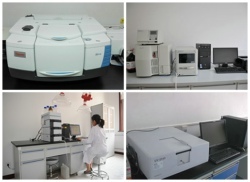 Ni2+ chelating affinity chromatography media is widely used in the purification of His-tagged recombinant proteins as well as peptides, proteins, nucleotides, and phosphorylated proteins which can be adsorbed by metal ions.